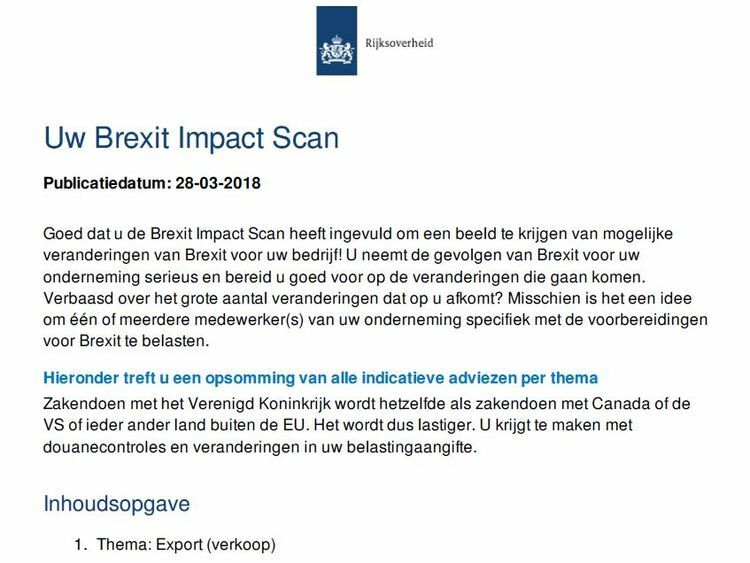 In its advice rolled out to all Dutch businesses, the Dutch government has told its exporters that "if a large part of your product consists of parts from the UK" domestic exporters may lose free trade access under existing deals.The advice says: "Brexit will have consequences for exports outside the EU. "After Brexit, parts made in the UK no longer count towards this minimum production in the European Union." This is a reference to what are known as "rules of origin" and "local content" under international trade rules.In order to qualify for EU free trade deals, a certain proportion, typically 55% of a product's parts, needs to come from the EU.The Dutch government says UK parts "no longer count towards EU origin" in its official "Brexit impact scan" advice to Dutch businesses.That warning has also been underpinned by the EU's own technical notice on this issue. "As of withdrawal date, the UK becomes a third country. UK inputs are considered 'non-originating'," it says. A leading car industry executive told Sky News that not using UK parts for EU exports would be a "catastrophe" for the British industry. "The hard Brexiteers have built a bomb under the UK automotive industry and the EU have lit it," said one chief executive. Sky News has also heard of major UK automotive suppliers now ceasing UK supply of major components to cars for export to countries currently covered by EU Free Trade Areas - countries such as South Korea, South Africa and Canada.Smaller companies are also being hit.Andrew Varga of Seetru, a manufacturer of safety valves in Bristol, said that last autumn, many existing customers showed caution in taking UK parts into new models. "There was an 'oh my god moment' last August. 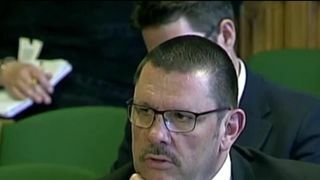 Our customers don't have the infrastructure to manage UK certificates of origin," he said.The government hopes that an implementation phase will deal with the problem until the end of 2020, but that depends on the response by third countries to the EU asking them to keep the same rules.The EU will not write to those countries until the withdrawal deal is signed.Industry sources said that staying part of a customs union and the single market would eliminate this problem.The Labour Party today backed a new amendment to the EU Withdrawal Bill supporting "full access" to the "internal market". But Labour Europhiles saw the move as insufficient and have vowed to defy the leadership and vote for an existing Lords amendment backing membership of the European Economic Area (EEA).Both main parties face severe splits ahead of next week's crucial Withdrawal Bill votes on 12 June. » Made in Britain: What does it mean for trade after Brexit?